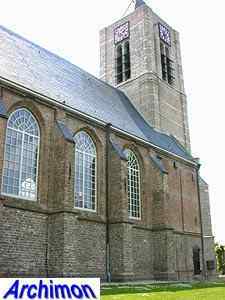 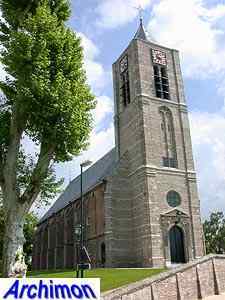 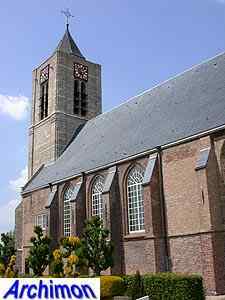 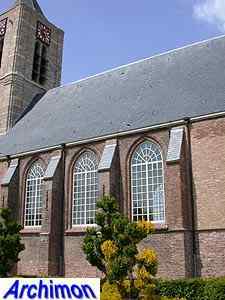 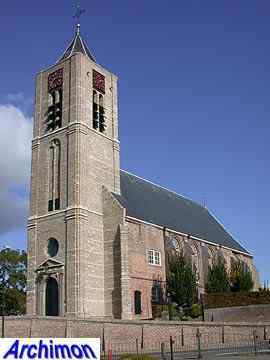 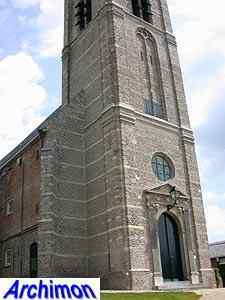 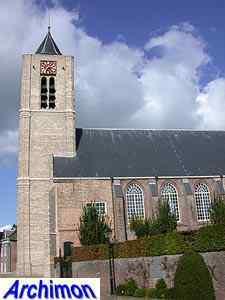 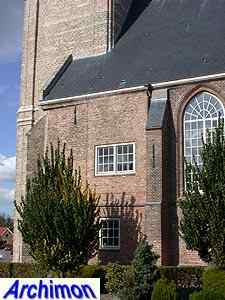 This church is especially important for its tower, which was built in 1555 by Cornelis Frederiksz. 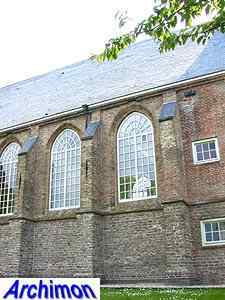 van der Goude, the master builder of the big Gothic St. Jan in Gouda. 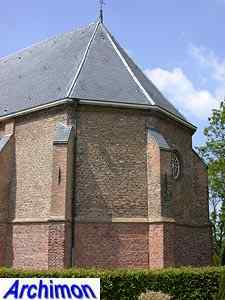 Despite the presence at the front of an undeep pointed niche with traceries the style in which the tower is built is not Gothic but is closer related to Renaissance. 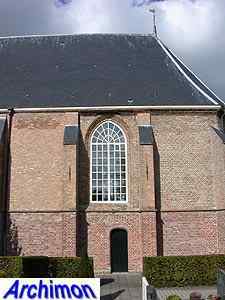 The entrance is clearly inspired by Classical architecture and was probably added later. 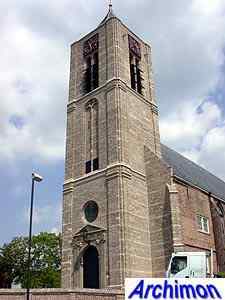 The tower was restored in 1954-1956. 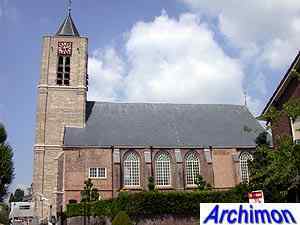 The one-aisled nave dates from the 15th century and was built in Gothic style. 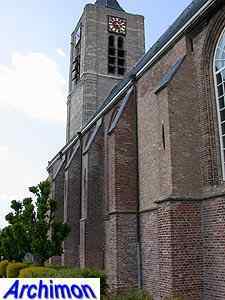 It was part of a cruciform church that replaced a Romanesque predecessor, parts of the walls of which were incorporated. 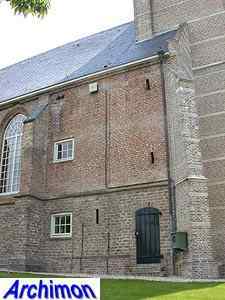 The two western traves were modified at a later date. 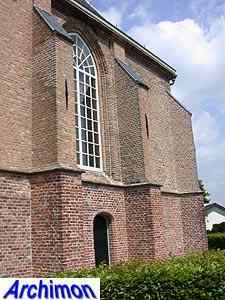 A transept was demolished in 1842. 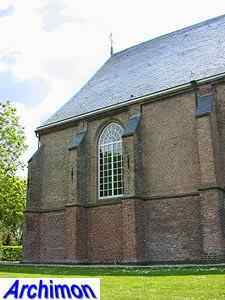 The choir also dates from the 15th century and was later altered as well.